You may have read recently about a recent trend towards transforming old shipping containers into backyard sheds and guest rooms. 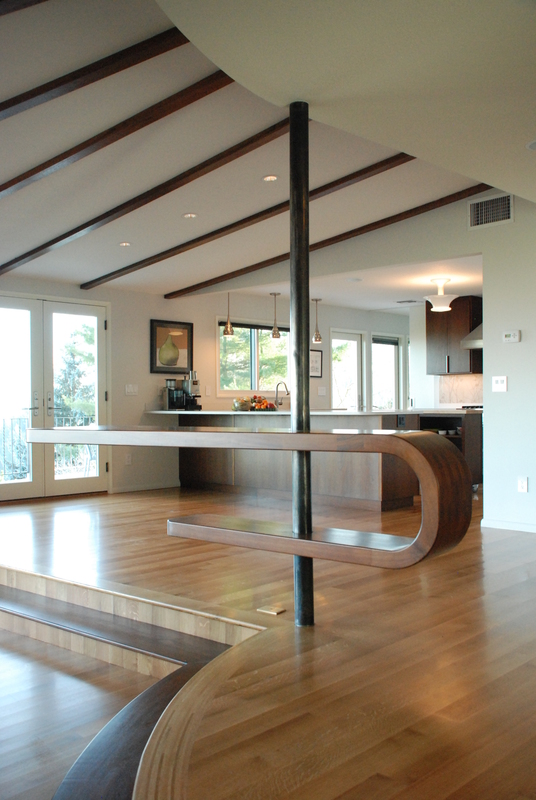 We recently completed just such a project for our good friend and client, Nancy Ranchel. Are you interested in house history? Maybe you want to learn more about how Portland neighborhoods were shaped by architectural styles and city planning. Perhaps you think your home may have been built from a plan book? Or maybe you are researching a notable Oregon architect? The Architectural Heritage Center invites you to learn about the resources available in the AHC research library. 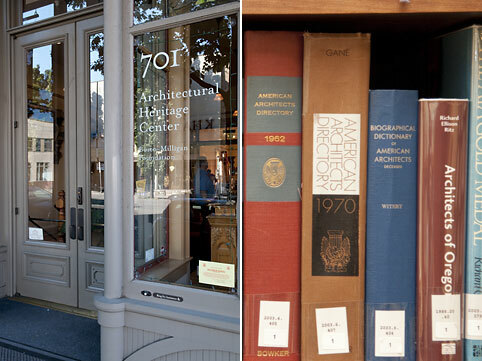 The public is invited to attend the Architectural Heritage Center’s library open house. This is a rare opportunity to have free access to the AHC library and get a peak into the closed archives. Learn about great research resources available for your family, neighborhood, business or organization. Staff and volunteers will be on hand to answer your questions and share library resources. 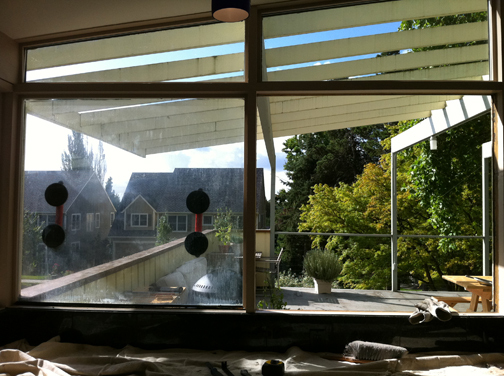 We recently ran across this post from a client who used us to restore and replace a wall of glass windows in a gorgeous mid-century home by architect Frank Shell. When we first moved in, a woman who owned a window company showed up and left a card with us and said that the previous owner had gotten her to quote some window replacement and she ended up emailing us the bid. Oh my god I’m so glad these people lost the house. They were planning on replacing all the windows with vinyl and putting up ugly plastic awnings. They wanted to take out the beautiful 12 foot all glass sliding door and replace with vinyl french doors. I truly believe that would have been a deal breaker, for us at least. In my mind that would have ruined the house and the cost to replace all the vinyl (not to mention the waste) would make it not worth it for us. With that said there were some windows that were in need of replacing. 7 windows had failed, meaning the insulation was not working. I think part of the blame was the lack of upkeep and the neglect of maintaining and/or replacing the roof. You can tell a failed window simply by the clarity of it. Over time it becomes cloudy with all the condensation gathering inside. In the photo above you can see the windows being replaced. On the left is an old window that is cloudy. On the right there was a similar window but it has been removed. 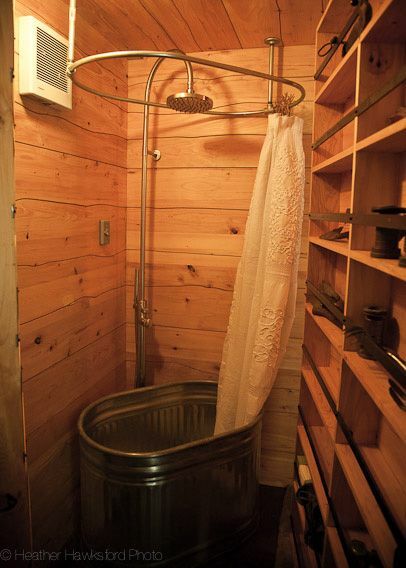 You can read the rest of this homeowner’s experience here. 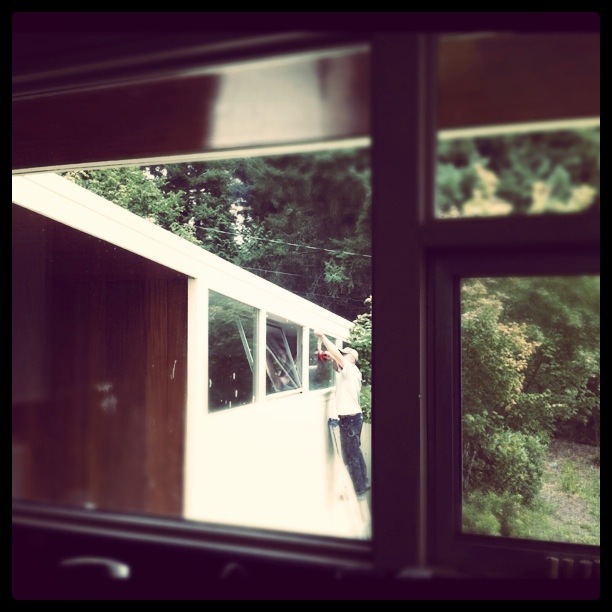 We were delighted to participate in the restoration of this quintessential example of the NW Mid-Century Modern style.